Kanye didn’t actually lose 9 million Twitter followers. Oh well! The record-setting Twitter purge unfortunately did not happen. 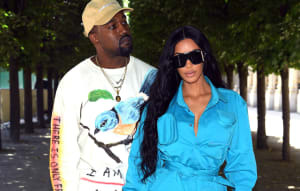 Soon after Kanye West began flaunting his support of Donald Trump on Twitter, rumors began to circulate that he'd lost 9 million followers in a matter of minutes. And while the follower count on Kanye's profile did appear for a time to be cut by 9 million, Twitter confirmed to The FADER that he hadn't actually lost them. "We can confirm that Kanye's follower count is currently at approximately 27M followers," a spokesperson for Twitter wrote in an email. "Any fluctuation that people might be seeing is an inconsistency and should be resolved soon." As of writing, Kanye's Twitter account is logging 27.9 million followers. Welp, there's always the next tweet.